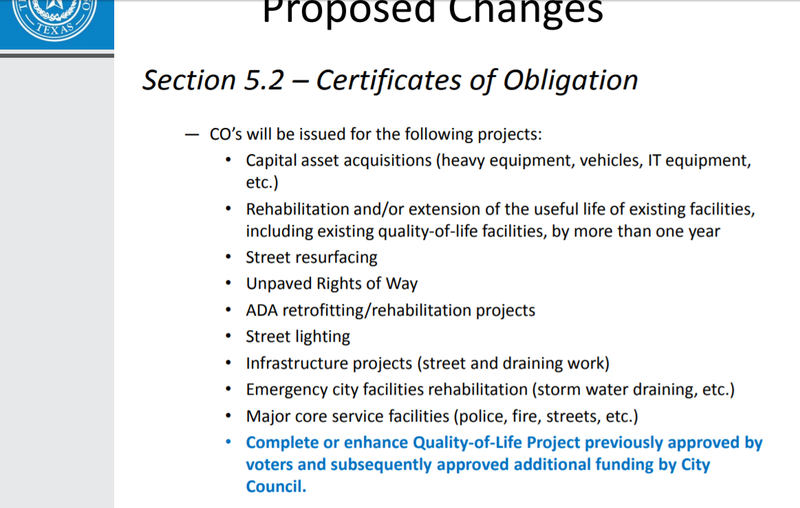 Now the city wants to have the authority to issue more bonds (without voter approval) to fund the quality of life projects that were approved half of a decade ago. Call your city representative today. If they are unavailable leave a message. This entry was posted on Monday, July 24th, 2017 at 5:00 AM and is filed under City government. You can follow any responses to this entry through the RSS 2.0 feed. You can leave a response, or trackback from your own site. What is really sad is that this just further emphasizes the high (sic) regard that our elected leaders have for the taxpayers of El Paso. What, the poor don’t have bread? Then let them eat cake. Lie, deny, deceive, cover up, hide what THEY did to US. There is no HONOR among these thieves. The only thing that ever changes in El Taxo is the NAMES of the politicians, Public Officials that screw US over. “Openness, HONESTY”?? These weasels have no ETHICS, INTEGRITY. Whether it is spending money or changing leave pool policy such as Mrs. Ordaz-Perez wants it is mostly self serving for them and their cronies. Yes. I think they need to totally abandon all unfinished projects, including and especially the ill conceived arena!